Meet Sparrow, a young Métis girl who receives the teachings of womanhood from her auntie and grandmother. What stories are girls told of womanhood? Are they of strength, grace, and creativity? Not long ago, they heard whispered tales of impending curses. Physical changes were clinically defined in textbooks, but not spoken of openly. Embarrassment was mandatory. Shame assured. What narratives will inform the women of tomorrow? Written for young girls and women of all ages, Moon Time Prayer offers an inspiring perspective. Over strawberry leaf tea, we join young Sparrow as her Auntie and Grandmother share the sacred teachings of women's Moon Time. Indigenous wisdom, passed through generations, is offered in this playful, yet powerful, story. Author, Cindy Gaudet Ph.D., invites readers to engage in a lifelong connection with the power of their natural cycles. 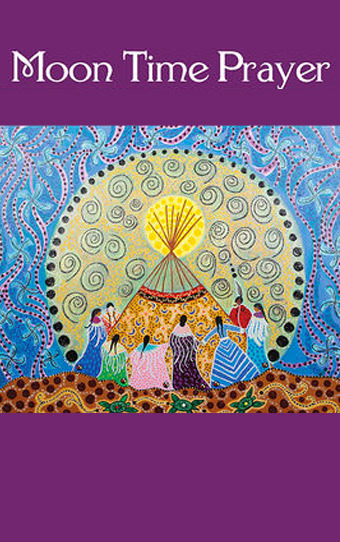 Change the narrative and celebrate the first rite of passage with Moon Time Prayer, featuring breathtaking artwork by Leah Dorion, and a 28-day moon journal.